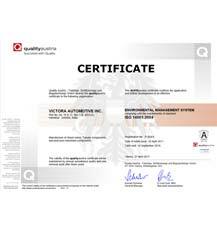 Since its inception Victora Group has been setting enviable standards of quality by offering products that are unblemished in all aspects. 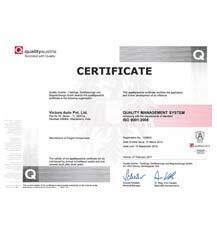 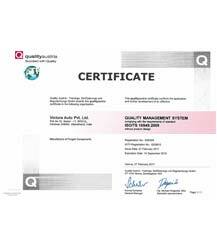 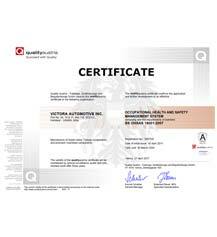 This quality oriented approach has even been recognized by the authorities and this is evident from the fact that all its production units are ISO/TS 16949:2002 certified. 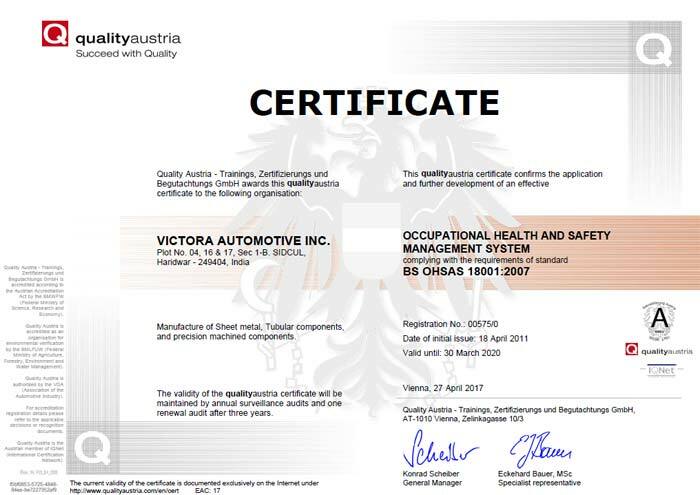 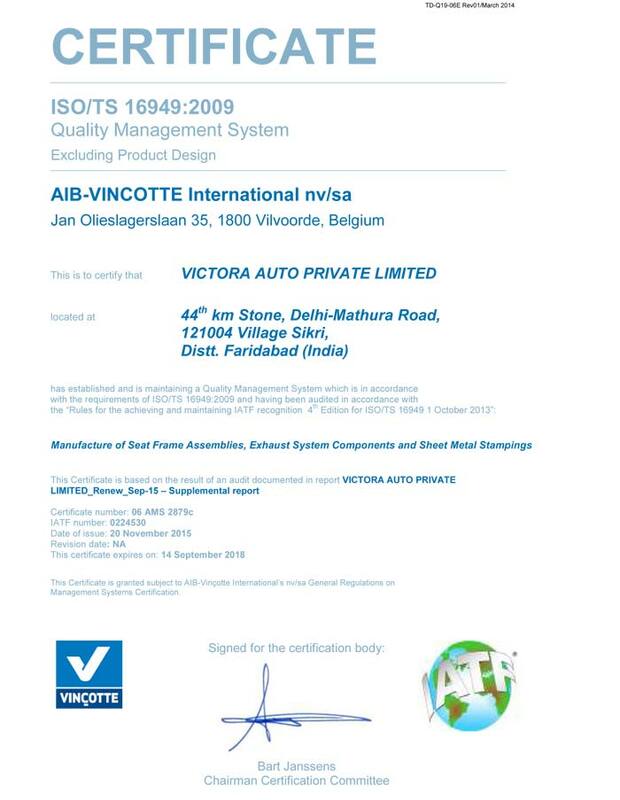 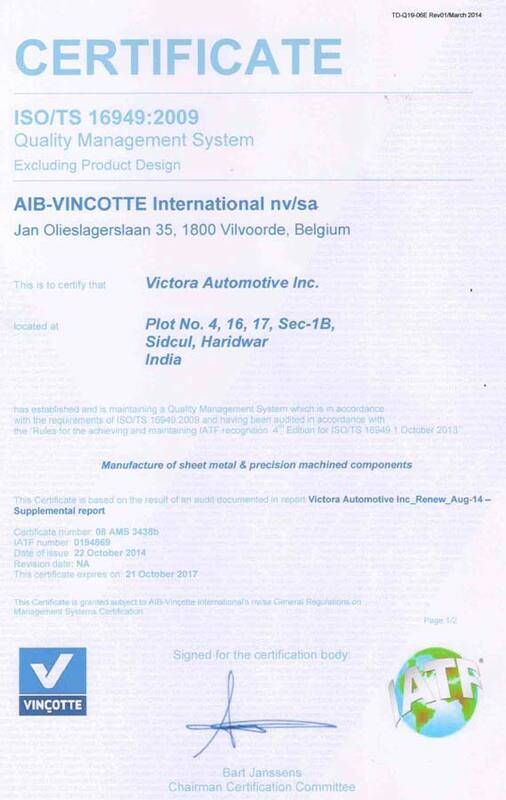 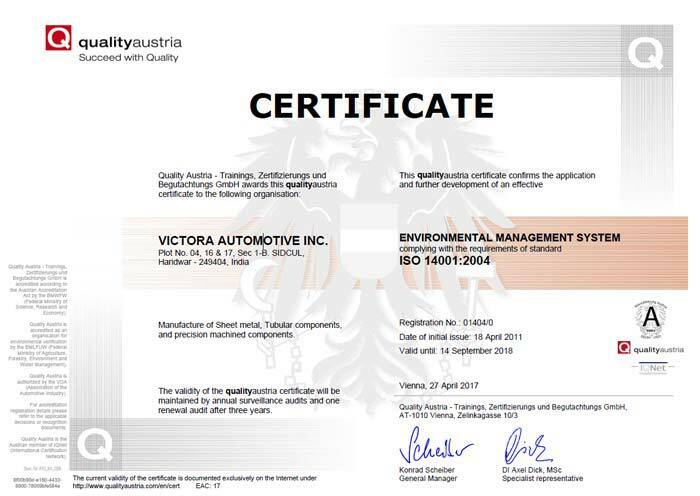 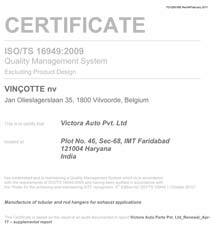 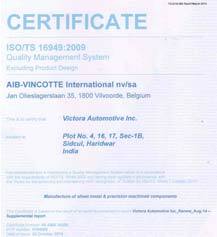 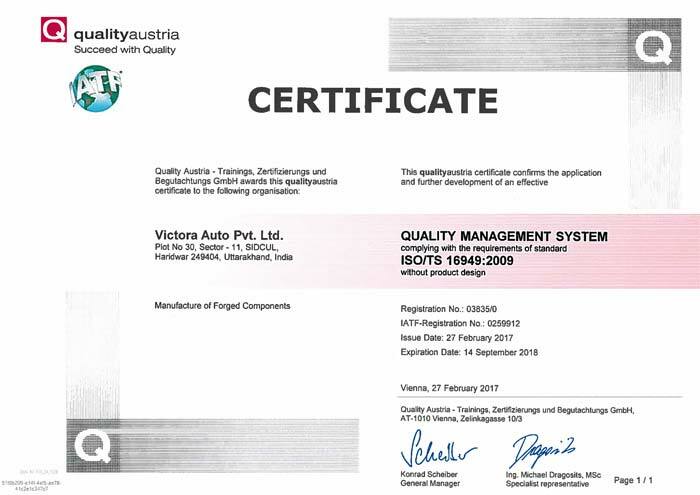 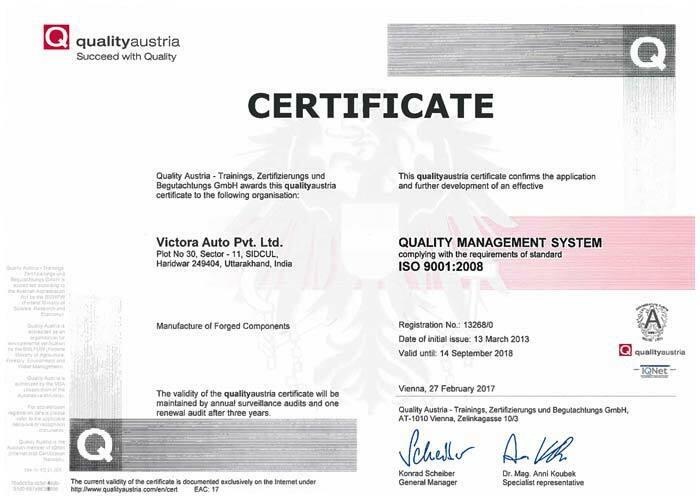 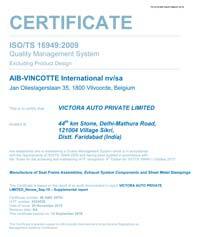 The credibility of Victora has been strengthened and its esteem has reached new heights owing to this certification that rewards its excellence in an appropriate manner.